It's hot here in the South. 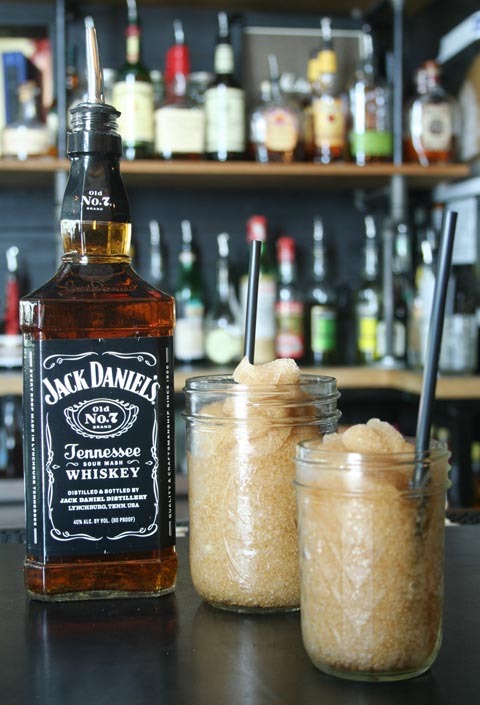 Actually, it's hot everywhere these days, which is why these Jack and Coke slushies are so necessary. Victory Sandwich Bar, located in Atlanta is the ideal locale for southerners who have a soft spot for a cool drink featuring Jack Daniel's Tennessee Whiskey. Jack Daniel's, coke and a slushie machine are all it takes to make these summer coolers. The best part is the Jack and Coke Slushies come in mason jars, large or small... a southern touch I always love. Owners Caleb Wheelus and Ian Jones are behind this savvy sandwich bar that offers $4 bites, unique microbrews and tasty drinks to help you cool down on a hot summer day. Open 11am-2am daily in the Inman Park district of Atlanta, Victory Sandwich Bar has quickly become the neighborhood hang out of choice. 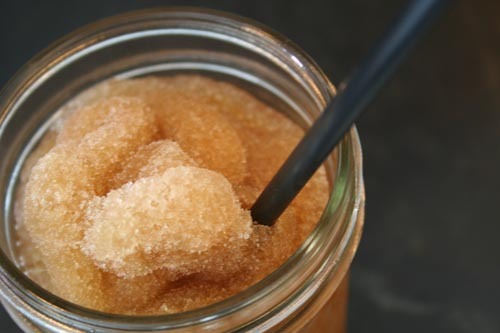 These slushies have proved an instant hit, day or night and I think it's easy to see why. Another Jack Daniel's inspired drink offered at Victory is "Jackyl Juice." It begins with a bottle of Sidral Mundet from Mexico, an apple flavored, carbonated soft drink. The bartender flips off the top and adds a shot of Jack to the bottle. Caleb was nice enough to offer me one during my photo shoot and I have to say, I was an instant fan. It's one of those perfect happy hour drinks for a Friday afternoon so may I suggest you leave work early today and either head on over to Victory and order a Jackyl, (Jack + Apple) or make one at home finding Sidral Mundet at a local Mexican grocer or online. Delicioso!